I’ve never seen a radio controlled Viking ship, but they must exist somewhere, because Jeddy has one. And with Vikings all the rage nowadays, with “How to drain your dragon”, “Vikings”, and the like, I thought I would dust off this old episode with Jeddy thinking he is just going down to the pier(or lake, or pond) to enjoy his newly bought radio controlled Viking ship, but garnering a little more attention than he probably wanted to. 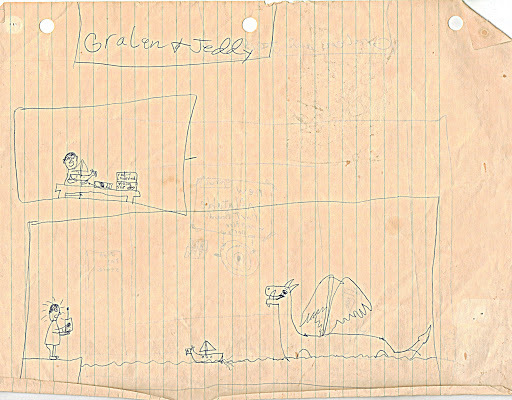 This entry was posted in boat, cartoon, comic strip, dinosaur, gralen and jeddy, original, radio controlled, ship, vikings. Bookmark the permalink.